Here are some photos I took on Inaugaration Day 2009. 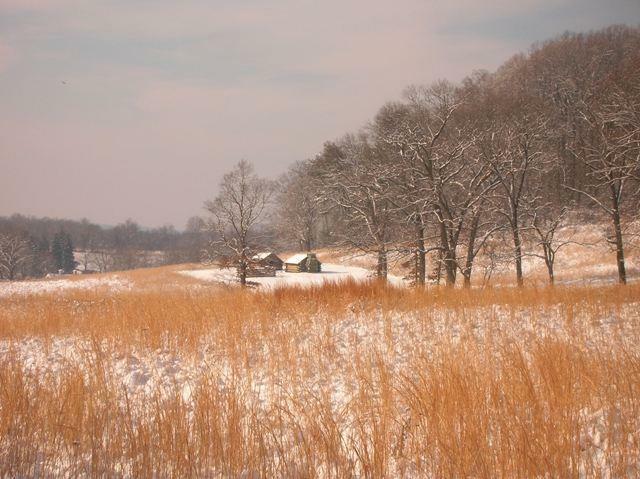 Today we see rolling hills open spaces and some wooded areas, the Park itself is much larger than many realize. The following web site is the official Park site: http://www.nps.gov/vafo/index.htm , go here to find out news of special events, directions, hours of opening and news about construction being carried out in the park. 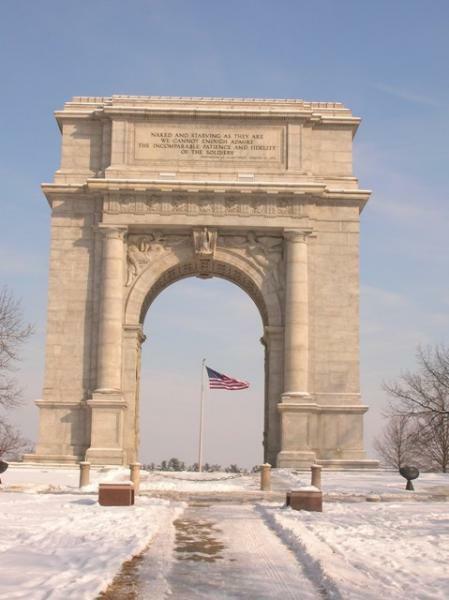 There is also an excellent page detailing the history of Valley Forge. What lies below is an overview. Having spent many hours walking, jogging and relaxing in the park I can wholeheartedly recommend a visit. There is a sense of history, and as you follow the walking trail you have plenty of opportunities to think about the past. Most likely you are walking on a fine day, remember the Continental Army moved here and the rivers froze, they had little food, their clothes were ragged and the health of the army was extremely poor. They were probably lucky that the British did not confront them in battle at that time for they were not ready and would have fared badly. They persevered through a horrible winter, cold winds and heavy snow to be forged during the spring into a fighting entity. But why Valley Forge? 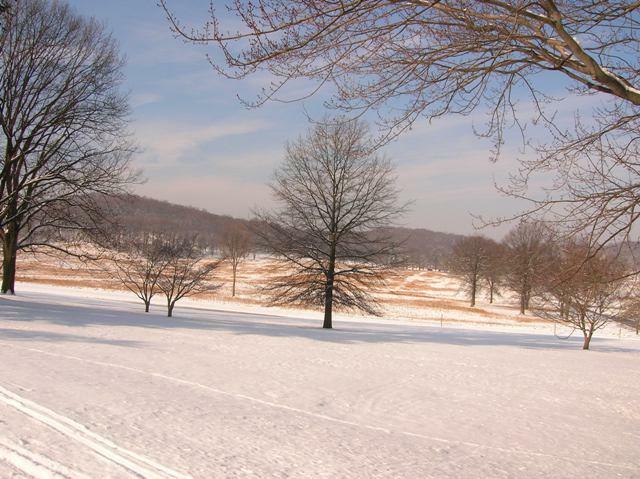 After the British landed at the head of the Cheaspeake they advanced north and fought the Americans at the Battle of the Brandywine. Defeated the Americans withdrew, Washington moving towards Reading and leaving a force under the command of General Anthony Wayne to harass the enemy. On the night of September 21st British soldiers under the command of Lord Grey made a surprise attack on the American force under the command of General Anthony Wayne camped in the Paoli/Malvern area. Using only bayonets they killed 53 Americans and wounded over a hundred more, with several more captured. Because of the night attack, the use of bayonets and the burning of the camp the story spread that the British had massacred the Americans which created the rallying cry during the rest of the War “Remember Paoli”. Following this movement by both armies led to the British taking control of Philadelphia and Washington guarding the route to Reading where many of his supplies were stored. 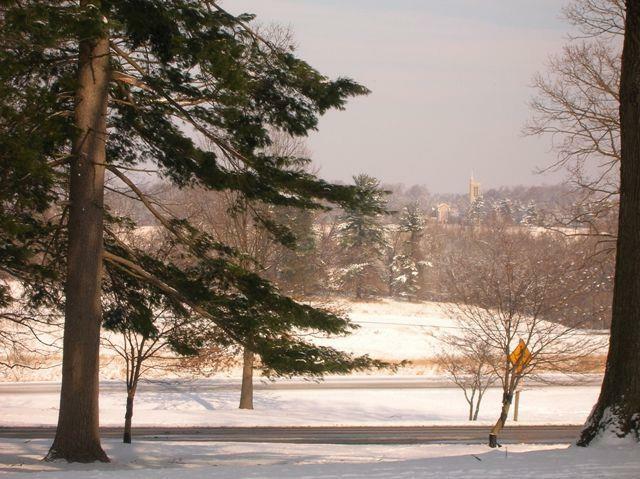 Each army was manoevring for position and Washington followed up by launching an attack on the British Garrison in Germantown. This failed and he withdrew to Whitemarsh. In December after several small skirmishes both armies thoughts turned to winter encampments. 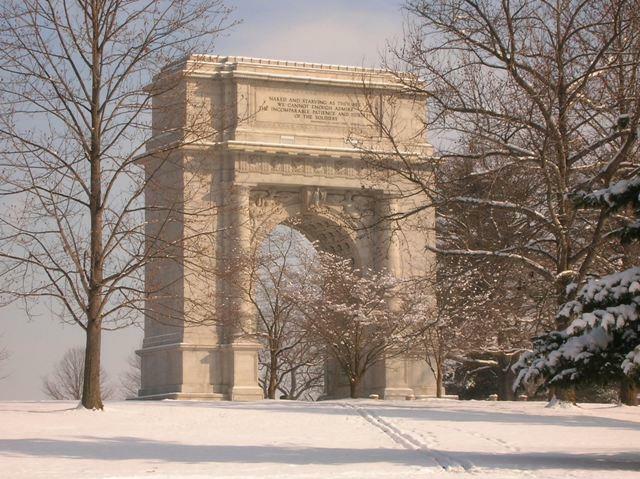 Washington chose Valley Forge. 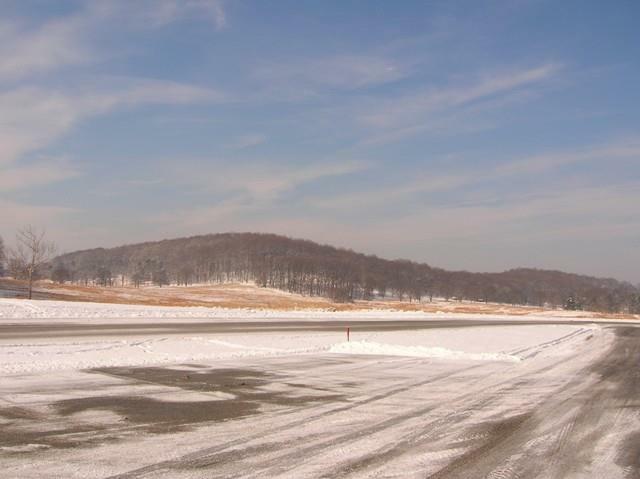 The winter weather was extremely harsh and the army was not ready when it descended. Lack of clothing and hunger destroyed morale and led to desertions from the ranks. But as the weather eased and supplies began to trickle in Baron Von Steuben a German mercenary turned up and helped to forge the rebel into a mature fighting force, who knew how to drill and how to fight. 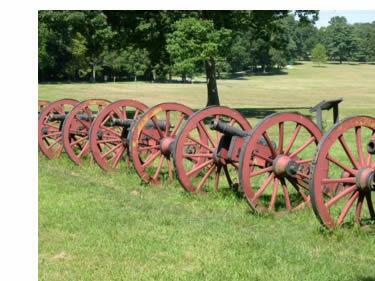 Whilst no battle actually took place at Valley Forge it is considered the turning point in the Revolutionary War. So come visit and see for yourself and think about those who went before and suffered for freedom and what they believed.